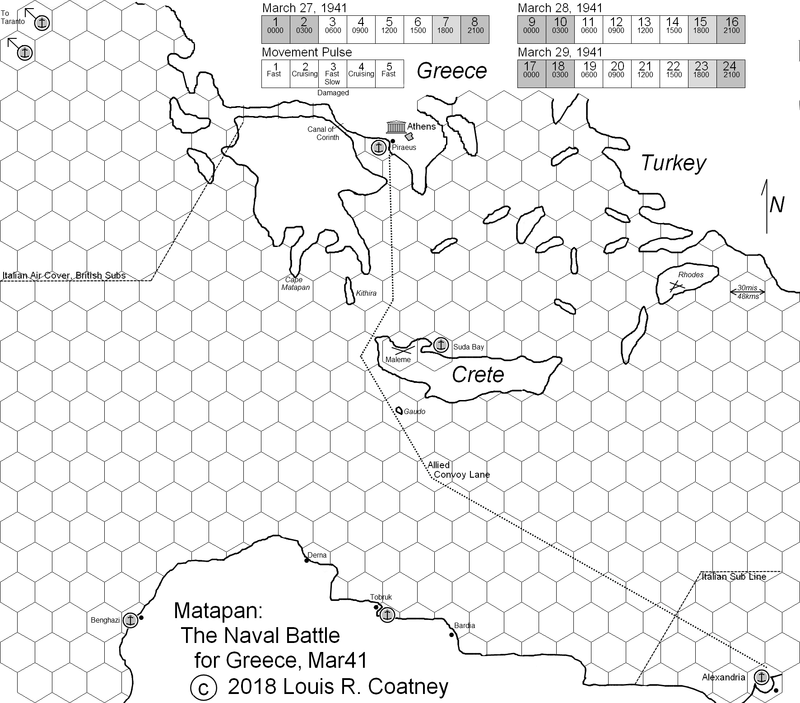 An individual is free to make one personal copy of Matapan: The Naval Battle for Greece, Mar41 for his/her own personal use. A. The people of Greece who endured great hardship supporting Britain's and the Allies' war against Nazi aggression and tyranny. B. The servicepeople of the Britain and the Commonwealth and Greece who fought that defense. The more we learn about the Second World War, the better our chances that it will be the LAST world war. 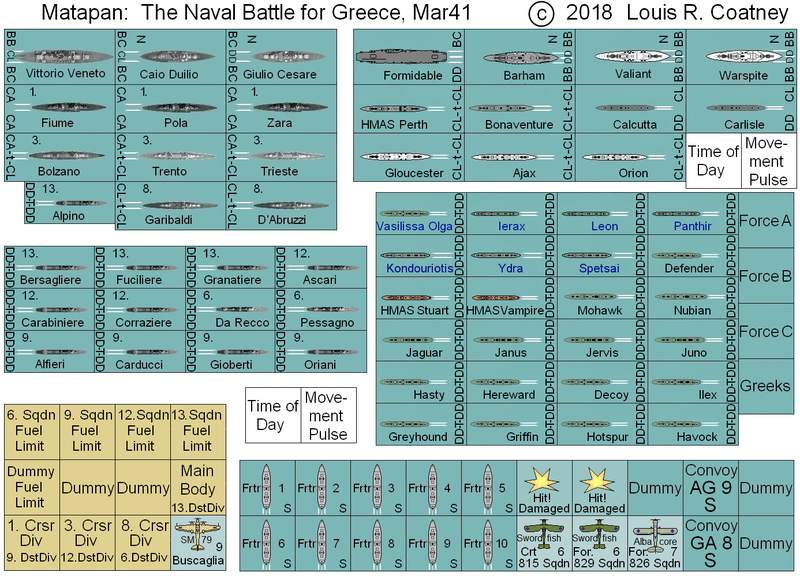 And now: Here are the Matapan: The Naval Battle for Greece, Mar41 components, to print off and assemble so that it may be played. 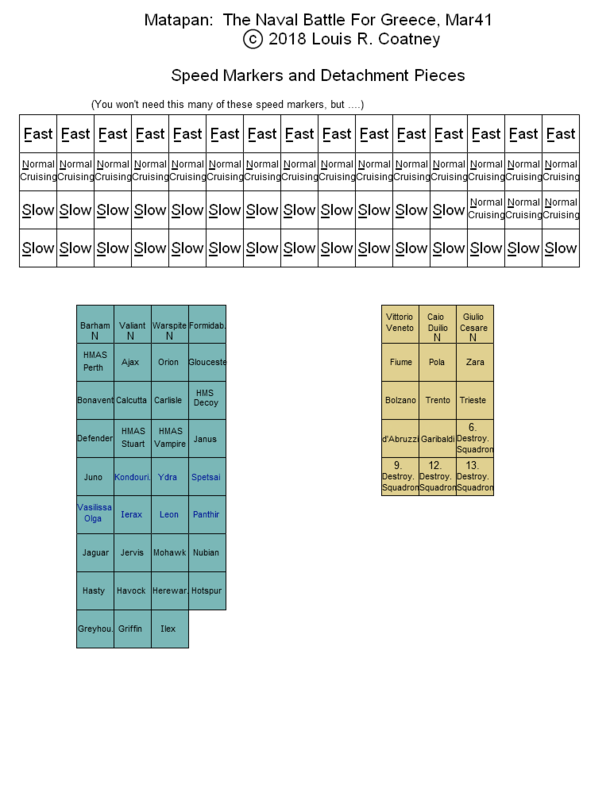 Players-students will also need a single six-sided die (or chits numbered 1-6, to be drawn out of a hat) for the randomized combat results tables. 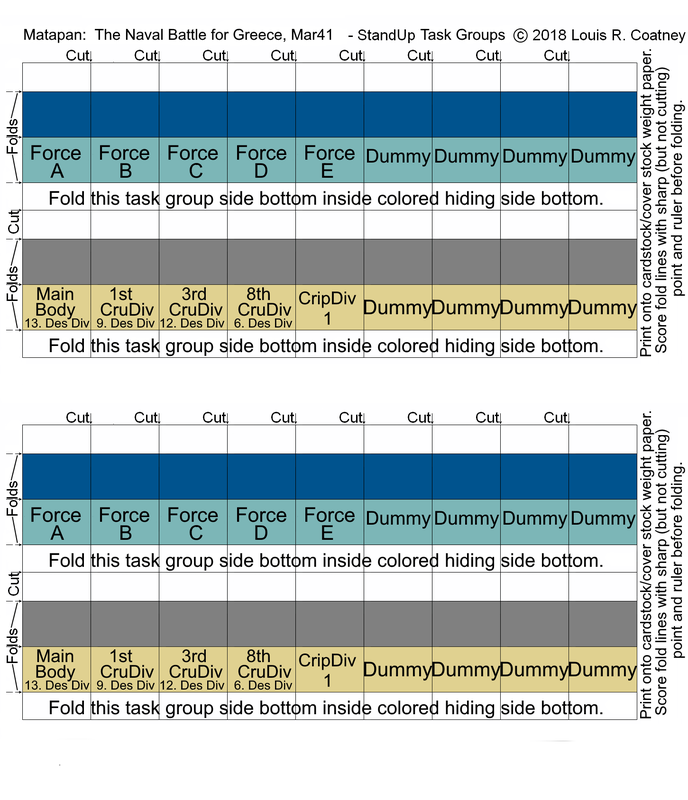 Final draft of the Rules in Rich Text Format. These will probably be revised from time to time. I'm posting their date on them. 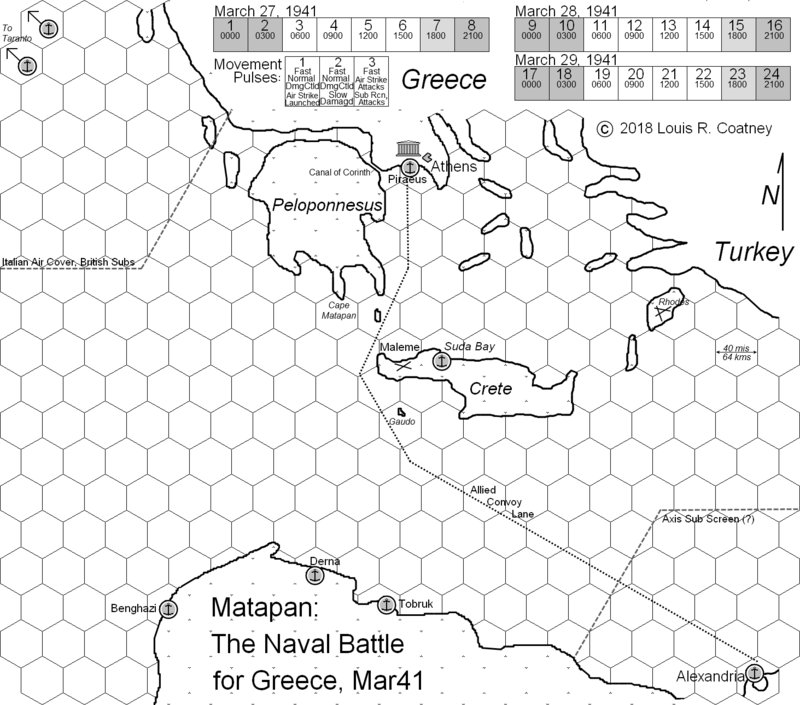 1May18 clarifying Italian bombardment of Maleme airfield and Suda Bay harbor. 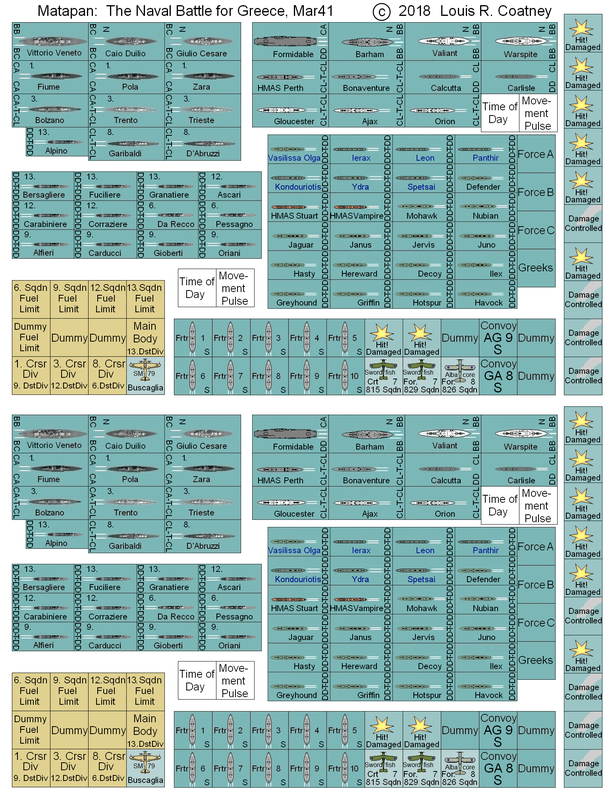 The southern half of the map, for a sufficiently large sheet. The northern half of the map, for a sufficiently large sheet. 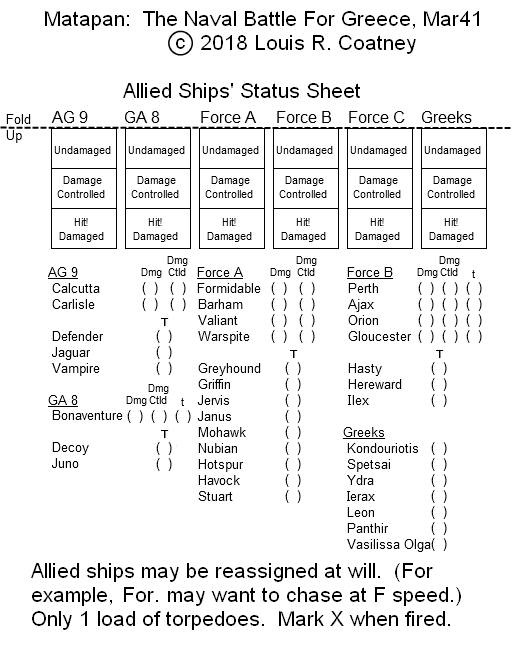 Playing aid ship status sheet organizer for Allied ships. 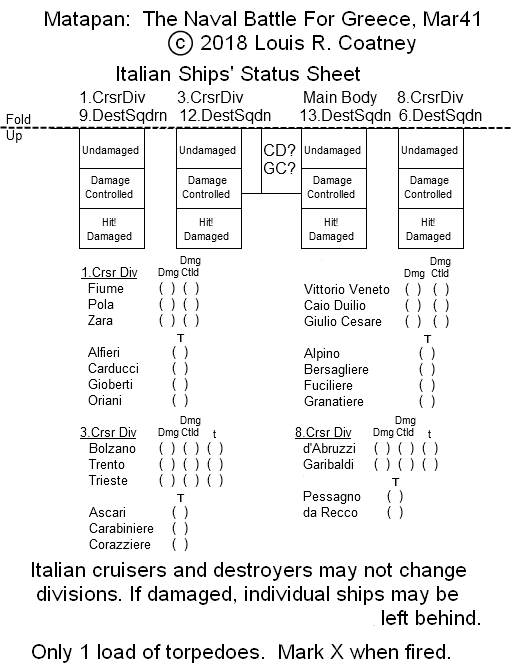 Playing aid ship status sheet organizer for Italian ships. 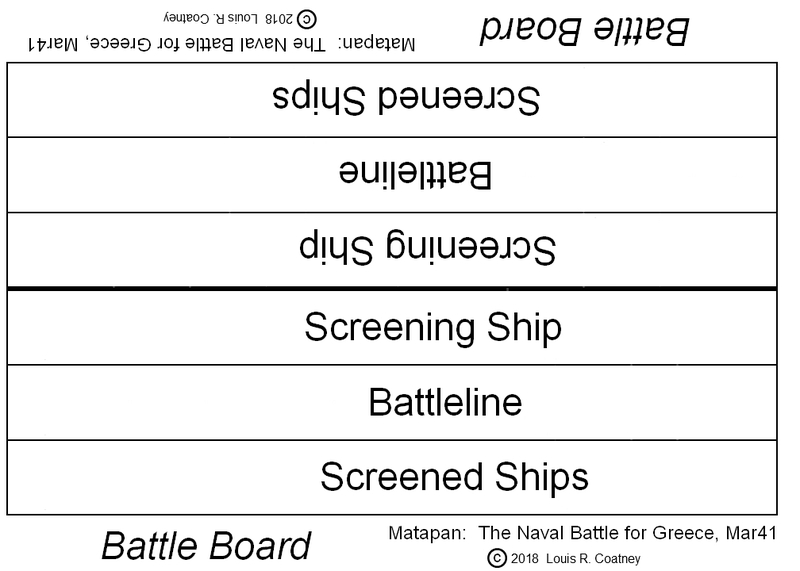 My fairly simple Naval Action naval miniatures rules, with small warship pieces, for those wanting to resolve surface battles that way, instead of the boardgame way provided. 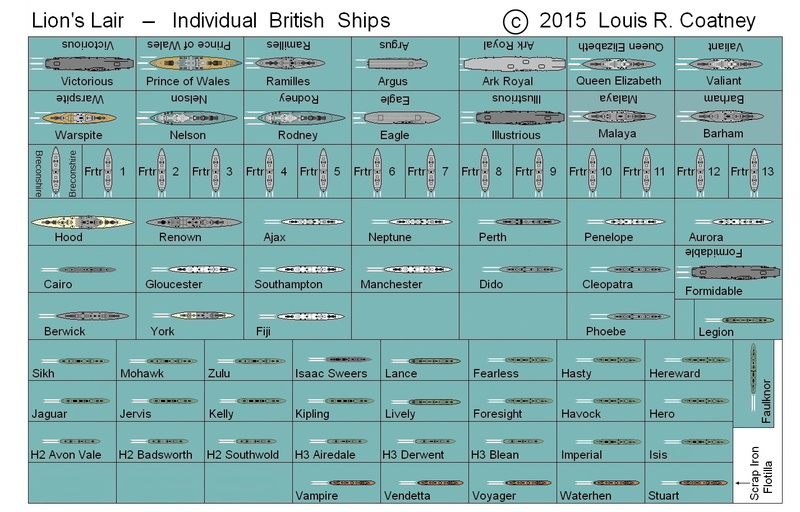 And here are customized individual ship pieces for Italian and British warships to use with the rules. Royal and Commonwealth Navies generally - Hec Waller's Scrap Iron Flotilla added, 3Jul15. The ships and air units - 2 sets. More comments by myself and others about the game can be read on Talk Consimworld Com and BoardGameGeek.